If you’ve been shooting with your DSLR or mirrorless for a while now and feel your work isn’t reaching the levels you thought it would, I want to ask you the following question. Are you still shooting with the kit lens? That is, the zoom lens that came with your camera? If so, I’ve got good news for you. Switching to a prime lens – one with a single focal length and no zoom – is an inexpensive way to help you improve and get over your current plateau. The first prime lens most people pick up, and the one I recommend you do too, is a 50mm – also known as a nifty fifty. There are numerous reasons for this. I may have missed some, but here are seven that I can tell you. Before we get into any other reason to buy a 50mm lens, let’s address the question of how much this is going to cost you. The answer to that is not very much. In terms of the price vs the positive effect it can have on your photography, switching from your kit lens to a prime lens is one of the most cost-effective difference makers there is. We’ll get into how using a prime lens can make you a better photographer later. For now, let’s look further into the prices. Going back to the days of film and before cameras began to come with the kind of zoom kits lens you probably got with yours, they mostly shipped with a 50mm. This long history of making lenses with minimal moving parts means the people who do so have got the process down to a tee. That in turn means two things for you, the consumer: great build and image quality at low cost. Prices do vary between manufacturers, with Canon often coming out as the cheapest big name to make their own, as you can see on Amazon. Nikon can be a bit pricier, as you can also see here, and Sony’s offerings usually come in at more again. Check here for the latest prices on those. 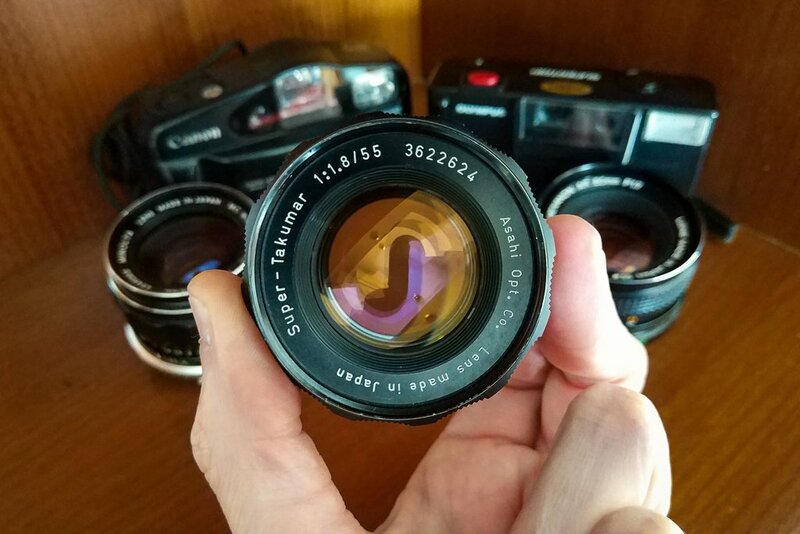 If those numbers are a little high for you, 3rd party manufacturers like Yongnuo bring more budget-conscious lenses to the market. If you go with one of these, you’ll need to ensure you’re buying the right one for your camera; this one is for Nikon, and this one is for Canon. The only reason I can think of to buy a DSLR or mirrorless camera is to make photographs that stand out more than you can with your phone, or a compact or bridge camera. For a lot of people, that means getting those blurred backgrounds that less-advanced cameras can’t give you. That was certainly something I was looking forward to playing with when I got my first Sony mirrorless. While you can get this look to some extent with the kit lens, a 50mm prime is going to take it to the next level. This is mainly due to the other numbers in its name, which will likely be f1.8 but could be f1.4 or even f1.2 if you go for a more expensive one. This is a deep topic that you can read more about here, but it boils down to this: the lower that f-number, the more background and foreground blur you can achieve. The kit lens I got with my Sony mirrorless was 18 – 55mm and f3.5 – f 5.6. This means that while I can shoot at f3.5 at 18mm, the lens will stop down to f5.6 when I zoom in to around 50mm. At f5.6, you’re going to have far less background blur than your nifty fifty lens can give you at 50mm f1.8. The image below was shot on a vintage Konica Hexanon AR 50mm f1.7 and would not have been possible with the kit lens. There’s obviously more to good photography than blurring backgrounds, though. Aside from that capability, any prime lens will typically offer better image quality than your kit lens. The latter is like a jack of all trades and master of none, whereas primes have one job to do. While all lenses are different, this usually means better objective image quality in technical areas like sharpness or contrast, for example. That said, photography that stands out needs more than just using a good lens. The next section explains how using a prime one can help you improve as a photographer. All prime lenses can help you become a better photographer, and the nifty fifty is no exception to this. It’s easy to think that a zoom lens helps you to be more creative, as you alternate between wide, close up, and faraway shots with the same piece of kit. However, real creativity is found between limitations. You can make any number of horrible noises with a piano but good music comes when you play within the boundaries of established chords and notes. Using a prime lens brings limitations to what you can shoot, which means you have to think more about what you do shoot. When using a 50mm, there will be wide shots that you could have made with your kit lens that aren’t now possible. There may also be longer shots that you can’t, too. Instead, you have to think about what to leave out and what to include. This may be frustrating at first – it was for me – but once it clicks, you’ll enjoy and appreciate how these limitations help you get more creative. Another beneficial limitation prime lenses bring is in having to zoom with your feet, rather than by standing in one place and doing so with the lens. I find being forced to physically move around gets the mental creative juices flowing. This leads to a more enjoyable time spent shooting, which should lead to better results from it too. Now this is a subject close to my heart, seeing as 99% of my photography is either travel or street. I’ve mentioned before on this site how important it is to remain discreet on the street. I try to do so by using a mirrorless camera and prime vintage lenses, although sometimes the adapter does make them physically longer than I’d like them to be. Regardless, that set-up is always going to draw less attention than a big DSLR. Especially one with a huge zoom lens on it. 50mm lenses are usually far more compact, making them great for staying unnoticed and capturing those candid moments, as in the image below. This compact size is one reason of many why they’re ideal for when travelling too. As they’re made to be inexpensive, they’re often mostly plastic, which helpfully keeps the weight down. Compare the size and weight difference to a zoom lens and think which you’d prefer to carry when space in your bag is at a premium. Of course, if you’re going to do wildlife photography, you’ll want a long zoom lens or even a telephoto prime. But for trips where the photography is less specific, the 50mm will be your perfect travel partner. A nifty fifty’s low price can even allow you to enjoy your trip a little more as you’re not worrying about your expensive zoom lens getting lost or damaged. If you were to take only a 50mm lens on a trip with you and were concerned it’d restrict you too much – despite those limitations being good for your creativity, remember – don’t be. This is a highly versatile focal length. Some claim a 50mm lens’s field of view is the same as the human eye. While I’m not sure it’s exactly the same, it is certainly very similar. Other focal lengths distort the elements in your image, making things look longer or shorter or closer or further away than they really are. These effects become more pronounced the wider or longer you go, as this post explains in far more detail than I can here. I’m sure you can also imagine how a wider lens like a 28mm would be little use for photographing birds while a longer lens like an 85mm would be similarly unsuited to architectural work. A 50mm wouldn’t be the best choice for either of those, but it’s able to cover much of what you would throw at it on most days, in a way that few other focal lengths can. The normal field of view and no distortion means it takes nice portraits; especially with those blurred backgrounds you can get. It’s also possible to capture some fine landscapes with it, as well as the aforementioned street photography. There is one caveat to this, though. If you want your nifty fifty to give you that true 50mm field of view, you need to be using it on a full frame camera. As explained in that post I linked earlier, the smaller sensors in APS-C and DX cameras multiply the effective field of view of any given lens by around 1.5 times. This means your 50mm lens becomes more like a 75mm one. To get around this, if you want a 50mm field of view on APS-C or DX, you can look at 35mm lenses. The crop factor won’t give you exactly 50mm, but it’s the easiest way to get acceptably near. As you can see, 35mm lenses can also be found for very good prices, depending on the brand. For full disclosure, the two images already used in this post – the lantern with the blurred background and the three phone users – were shot with a 50mm on an APS-C camera. The one below was shot with a 35mm lens on the same APS-C camera and shows how much you can fit in your frame at a focal length of around 50mm. Remember those f-numbers, like f1.8, f1.4 and f1.2, we mentioned earlier? The ones that help you achieve that shallow depth of field? There’s another benefit they bring, which we’ll discuss here. There is a time and a place for using a flash, but there are plenty of times when doing so would ruin what you’re trying to achieve when shooting in low light. This is where your prime lens comes in handy yet again. The lower the f-stop you set your lens to when you shoot, the wider open the aperture blades inside it are. Again, this was explained in this post I linked earlier. The wider open the aperture blades are in your lens, the more light can get in over a set period of time. Like, say, the length of time it takes to make a photograph. If more light can get in over a set time, the length that time needs to be becomes shorter. This means the shutter speed needed to make a well-exposed photograph becomes faster. This is important when there isn’t much light available yet you still need a shutter speed fast enough to not have a blurred image, and is why a 50mm f1.8 is much better at low light photography then your kit lens. Mine can only get down to f3.5 and that’s at 18mm. At 50mm, it can only get to f5.6. In low light, this is going to make my shutter speed far too slow, unless I raise my ISO level to compensate. However, doing that will compromise on image quality. Being able to get down to f1.8 means being able to keep your ISO at a level that doesn’t destroy your image with noise. Having said that, most lenses are at their sharpest at least one stop up from wide open. The image below was shot at f2.8. Either way, it would not have been possible to maintain those shadows if a flash had been used. In the spirit of this website and my own photography, I had to include a section on this. Most of the photography I do is with film or with vintage lenses on a digital camera. Every vintage lens I’ve ever owned has been a prime, and I don’t foresee myself ever buying a zoom one. As mentioned, a lot of cameras used to ship with 50mm lenses. And even when they didn’t, the nifty fifty still remained hugely popular and massively manufactured, which means there are plenty available if you want to go down the vintage route. As they’re a relatively simple design and generally solidly built, you can pick up a decades-old model with few worries over if it’ll still work as it should. You might need to buy an adapter, depending on the brand you buy. That’s really no issue, though. You’ll also need to learn how to focus manually and how to shoot in aperture priority mode, but that’s not too difficult. In fact, it’s another way how using this kind of lens can help you become a better photographer. All the shots on this post were taken with vintages lenses, using manual focus of course, and I explained how you can do it too right here. Another reason to pick up a vintage 50mm lens is the character it gives your photographs. The new ones are all very sharp, which is all very well. But do you want your work to have something different? The final reason to go classic is the price. Yes, the new ones aren’t expensive, but these ones can be even cheaper. Take a look on eBay to see for yourself. When you hit a plateau with your photography, thinking a new camera can help you get past it is a common first thought to have. In many cases though, a new or different lens is going to help you far more. Especially if you’re still using the kit lens. 50mm is arguably the most used focal length of all time, which should tell you something. If it’s good enough for all those people through all those decades, it’s probably good enough for you. As a rule, the faster the lens, the more expensive it will be. This means a 50mm f1.2 will cost more than a 50mm f1.4, which will cost more than a regular 50mm f1.8. The ones with the lower f-numbers will give you even more blurred backgrounds and better low light performance, but I’m not sure they’re necessary for a first-time prime lens purchase. For that, I’d recommend going for a 50mm f1.8, because even that will impress you when compared to your kit lens. … p.s. if you’ve found this post useful and think others will too, why not share or pin it?